The most popular item ever published on this website is my original Super Smoothie Recipe. This recipe was inspired by the Sustagen diets that enabled sustained a hardy bunch of runners to trot almost non-stop all the way from Auckland to Wellington about 1972. That race was won by Max Telford who consumed up to 14,000 calories during a running day. I have now gone one step further, in response to demand, and produced my very own Super Smoothie Formula. 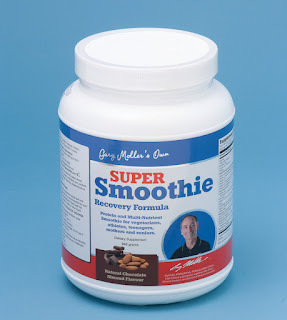 Gary Moller's Own Super Smoothie Formula is packed with the nutrients and calories that an athlete needs for sustained exercise and recovery and in a form that is easily and quickly digested. The Super Smoothie is ideal for anybody who needs to get nutrients into the body. Pregnancy, breastfeeding, convalescing after illness or injury, coping with chronic illness and combating the frailty of old age. The teenage growth spurt is a perfect time for a daily Super Smoothie. Gary Moller's Own Super Smoothie Formula is designed for vegetarians, pregnant and nursing mothers. It is perfect for athletes seeking rapid recovery with maximum gains in strength and stamina. 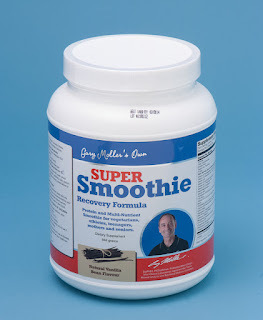 The addition of Gary Moller's Own Super Smoothie Formula is perfect for an athlete in hard training or intense competition, or a person who has been severely debilitated by illness or injury. It is perfect as a recovery aid between competition during events like a multi-day tournament. 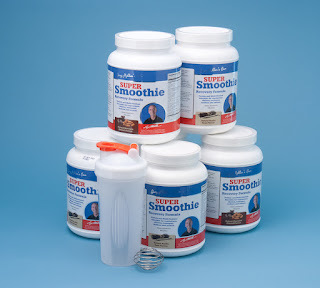 Gary Moller's Own Super Smoothie Formula is the perfect source of high quality vegetable proteins, vitamins, minerals and digestive aids for addition to a liquid meal. 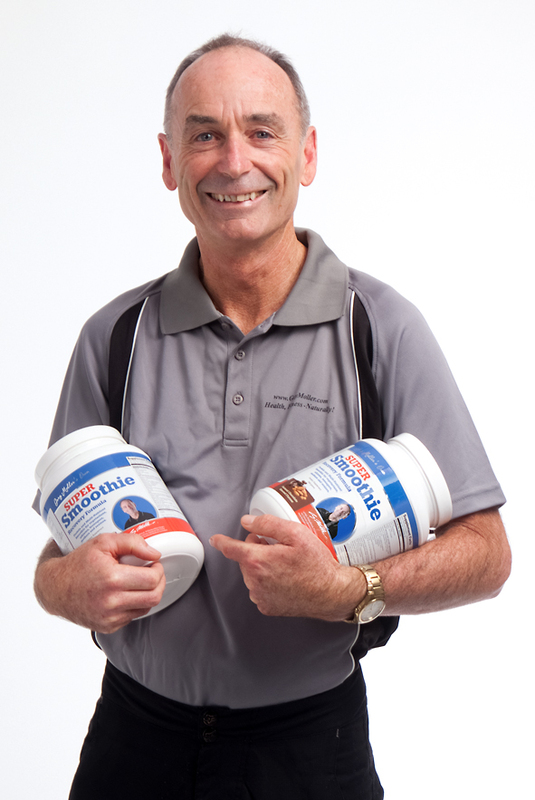 Purchase a pot of Gary Moller's Own Super Smoothie Formula (You have a choice of either vanilla or chocolate). 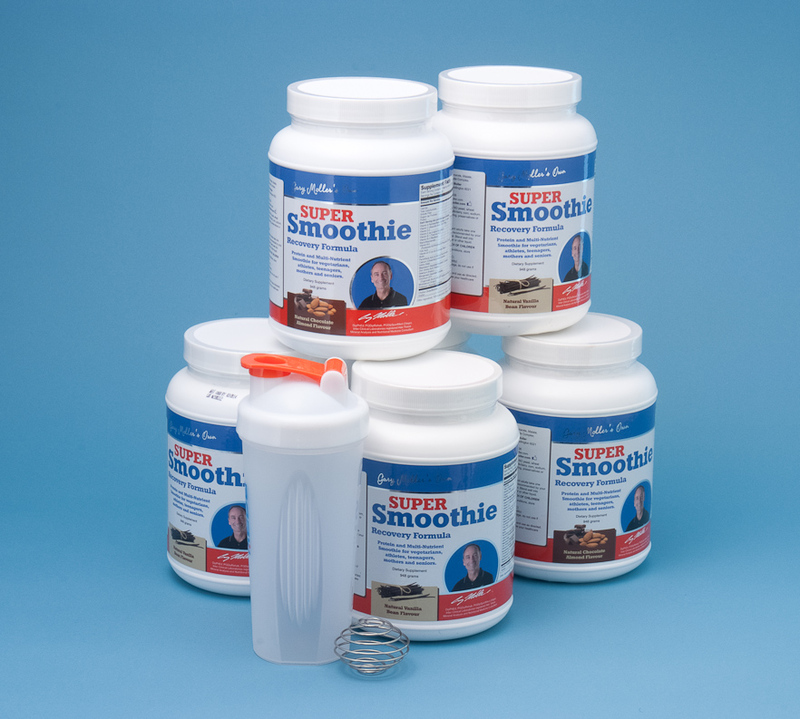 Gary Moller's Own Super Smoothie Formula is complete as it is - Just add water and you are in action! Or, you can make the smoothie into a meal on its own. In addition, you can customise the smoothie to meet special needs such as recovering from illness or training for a marathon. Here's some tips on how to do this. Have one scoop per person per day unless advised by your nutritionist. Add one dessert spoon of Flax Original or Flax Balance. Add one cup of dark Berries such as blueberries and boysenberries - the darker the better as a rich source of antioxidants. Here in NZ you can get frozen berries from most supermarkets for good value. Get the really dark berries and generally avoid any "Smoothie Mix" which I have found tend to be poor quality berries. Add a Banana if you like. Add any other fruit that grabs your imagination - experiment. Add a cup or two of water, apple juice, yogurt, milk, coconut cream or whatever suits you best as a nutritious liquid to dilute the mix. It is better to avoid too much sugar, so I generally discourage fruit juice - unless you are taking the Super Smoothie before or immediately after hard exercise when the additional sugar will be put to good use. Blend well, adding the egg towards the very end of the process to minimise the damage to the delicate egg proteins. Drink the Smoothie straight away since the fruit and berries will oxidise quickly if left for long, even if refrigerated. While these additional extras are geared principally for athletes, they are all of benefit for others. For example; studies have shown pleasing gains in muscle strength in the elderly from creatine supplementation. (Please read the blurb on the product pages of my website store to learn more about how each of these assist with boosting performance. Actual need varies by athlete and event. I am able to assist you with determining your exact needs). Use as per the instructions, but on the lower side. Use as per the instructions. This is a good quality sports drink that you make up yourself. It is very good value. This can be used during competition. You may consider adding 50% Balance Recovery Stack - experiment during training. One per day in the morning. Two per day of either, or a mix of each. Use this daily before and after training and competition. This is my most trusted pre and post exercise recovery drink. It contains all the main nutrients required by an athlete in hard training and competition. It can be taken within the half hour of competition and even during; but practice with it to be sure you can handle it well. Gary Moller's Own Super Smoothie Formula is best taken two hours before training and competition (depending on the expected intensity), so the Balance Recovery Stack is what to use closer and during exercise. Contact me if you need assistance working out what is the best mix of nutritional supplements for your particular needs. Spread your nutrient intake over the day, rather than taking the lot in single big hit. It is perfect for breakfast for the person in a hurry. If additional calories are required, then add a Weetbix or two, or porridge and blend it in. This makes it just like Sanitarium Up and Go ready made breakfast drink; but way more nutritious! Protein supplementation reduces wasting during serious illness like cancer. It has been shown to bolster the immune system. The Super Smoothie is protein on steroids (Sorry - bad term!). Many elderly are so nutrient deficient that even an extra daily chocolate milk drink may improve the health of an elderly person! The Super Smoothie is much, much better than that! . (Without the added extras for athletes). During a growth spurt - plus school sport etc - the need for rich supplies of nutrients skyrockets. The Super Smoothie with the Douglas Ultra Protein will do the job. Give it as a treat between meals, including as an after school snack. The Super Smoothie with Douglas Ultra Protein is perfect for recovery between competition in a tournament event that requires intense effort several times a day and/or over several days. It also perfect when doing endurance events that go on for many hours, such as 24 hour runs or bike rides. I like to use protein as the base and then add small amounts of other nutrients for nutrition during very long events, or when doing multi day hikes. This formulation is very quick and easy to digest. It can be mixed at home and divided up as individual servings in sealed plastic bags. All that is then needed is a light plastic decanter and some water which you can get along the way. The Super Smoothie servings can be quickly mixed and drunk and goes well with snacks, like dried fruit. Light weight and packed with nutrition! Other than the Super Smoothie and a balanced diet, little else is needed by all (Athletes, the elderly, the infirm, teenagers and so on) for super nutrition. That's all! Of course, there are people with special needs that require special diets, that the advice on this page simply won't suit and I will do my best toassist if contacted. Some people worry about getting fat, others want to lose fat. Others want to pack on the muscle. Everyone wants to be properly hydrated. An effective nutrition programme will optimise body fat percentage, lean muscle, bone and body hydration. The most convenient way to do this is with theSalter 9106 Body Composition Scales. These are remarkably accurate and very motivating. I am selling these way, way under their retail price of NZ$140. I want all of my clients to have one in their home. I want them to see the benefits of following my advice about health and fitness. I want them to share their body composition results with me, no matter where in the world they live, so that I can help them further and do so on the basis of useful and accurate information. Over the last year I have been developing my very own Super Smoothie and now we have it. This is in response to the huge number of ongoing inquiries I receive about how to make Super Smoothies and the need for a daily protein, vitamin and mineral supplement in support of my hugely successful Hair Tissue Mineral Analysis service which now exceeds more than 1,000 clients and growing by the day. My Super Smoothie is 100% vegetarian and suitable on its own, or with additional ingredients, for athletes, vegetarians, children, nursing mothers, the elderly and people dealing with injury and illness. Additional ingredients include fresh or frozen berries and specialty powders for athletic training designed to fortify my Super Smoothie. My Super Smoothie formula is produced by Douglas Laboratories of the United States which is arguably the "Gold Standard" facility for developing and manufacturing nutritional products. All of the ingredients are certified as being of the highest quality and non-GMO. My Super Smoothie is a New Zealand registered nutrition product. The flavourings are from the best Belgian Cocoa and real natural vanilla bean. Just 1-2 scoops of my Super Smoothie supplies more than the minimum daily dietary allowance for protein, vitamins and minerals - everything from magnesium to folate! (Shouldn't that be "A-Z" Gary?). My Super Smoothie allows me to reduce the number of different pills that I need to prescribe a person because it provides a comprehensive baseline of all the nutrients a person needs for optimum nutrition. No more pills - Yeeha! I am going one step further by progressively building an inventory of specialist powders that can be added to the Super Smoothie such as creatine, magnesium and adrenal powder (Some of these are prescription only, so you will need to consult me first). At only NZ$80 the Super Smoothie works out to be great value when you consider what it costs for the protein on its own and then the cost of all the individual vitamins, minerals and the rest. You get the lot in one pot! I am running a promotional special to kick off sales by giving away the best Smoothie Mixer I have been able to find with your first purchase (one only per person). This is for New Zealand customers only and only for as long as I have shakers to give away - Sorry the rest of the World - you miss out; but rest assured the Super Smoothie is still a great product that stands on its own merits! And here's my guarantee - If you are not 100% satisfied, send it back, even if its half used, and I'll refund you the purchase price 100%. (This applies to all my products, by the way). Here is the link that takes you to the product pages for my chocolate and vanilla Super Smoothie. This recipe was inspired by the Sustagen diets that enabled sustained a hardy bunch of runners to trot almost non-stop all the way from Auckland to Wellington about 1972. That race was won by Max Telford who consumed up to 14,000 calories during a running day. Natural Vanila Bean flavoured pea protein (948g) multi highly suited for vegetarians, athletes, teenagers, mothers and seniors. This is the perfect source of vegetable protein, vitamins, minerals and digestive aids for addition to a liquid meal. Add half to one scoop. My Super Smoothie is designed for vegetarians, pregnant and nursing mothers; but is also perfect for athletes seeking rapid recovery with maximum gains in strength and stamina. The addition of my Super Smoothie formula is perfect for an athlete in hard training or intense competition, or a person who has been severely debilitated by illness or injury. Here in NZ you can get Pams Frozen Berries, or berries from Moore Wilson's for good value. Get the really dark berries and generally avoid any "Smoothie Berry Mix" which tends to be poor quality berries. Add a little water, apple juice, yogurt, milk, coconut cream or whatever suits you best as a nutritious liquid to dilute the mix. If you are an athlete seeking the "edge" over your competition, a person facing serious medical issues, such as chemotherapy, a vegetarian with digestion issues, pregnant, nursing, a rapidly growing child or a fragile elderly person, you may benefit from additional nutritional support. Spread your nutrient intake over the day, rather than to take the lot in single big hit. It is perfect for breakfast for the person in a hurry. If additional calories are required, then add a Weetbix or two, or porridge and blend it in. This makes it just like Sanitarium Up and Go ready made breakfast drink; but way, way more nutritious! Protein supplementation reduces wasting during serious illness like cancer. It has been shown to bolster the immune system. My Super Smoothie is protein on steroids (Sorry - bad term!). (Without the added extras for athletes). During a growth spurt - plus school sport etc - the need for rich supplies of nutrients skyrockets. My Super Smoothie with the Douglas Ultra Protein will do the job. Give it as a treat between meals, including as an after school snack. Other than the Super Smoothie and a balanced diet, little else is needed by all (Athletes, the elderly, the infirm, teenagers and so on) for super nutrition. That's all! Of course, there are people with special needs that require special diets, that the advice on this page simply won't suit and I will do my best to assist if contacted. Some people worry about getting fat, others want to lose fat. Others want to pack on the muscle. Everyone wants to be properly hydrated. An effective nutrition programme will optimise body fat percentage, lean muscle, bone and body hydration. The most convenient way to do this is with the Salter 9106 Body Composition Scales. These are remarkably accurate and very motivating. I am selling these way, way under their retail price of NZ$140. I want all of my clients to have one in their home. I want them to see the benefits of following my advice about health and fitness. I want them to share their body composition results with me, no matter where in the world they live, so that I can help them further and do so on the basis of useful and accurate information.